Quincy Annex is a level IV correctional facility located in Gadsden Florida. 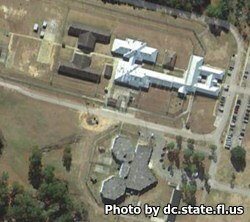 It houses approximately 408 minimum, medium and closed custody adult male offenders. Inmates who are incarcerated here can obtain a GED through a program offered in conjunction with a local community college, as well as learn to read and earn an adult basic education. Alcoholics Anonymous is offered to those suffering from substance abuse issues, and anger management, parenting classes, finance courses, and employment preparation is also offered. Religious studies and worshiping services are given by the Chaplains office. All visitors must be approved before visiting. You can get approved by filling out a visiting application. Visiting is on Saturdays and Sundays from 9am-3pm. Registration for visitation begins at 8:15am and is over at 2pm. If you arrive after 2pm you will not be allowed to enter into visitation.